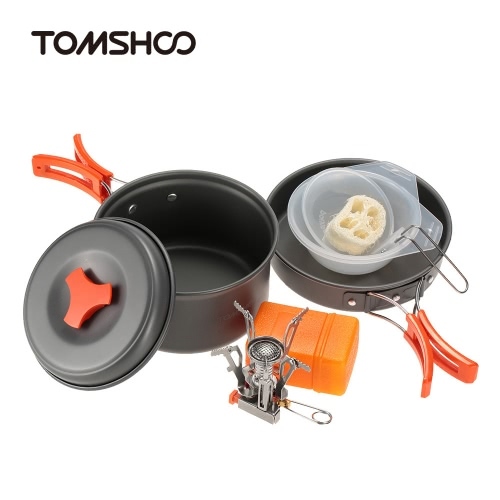 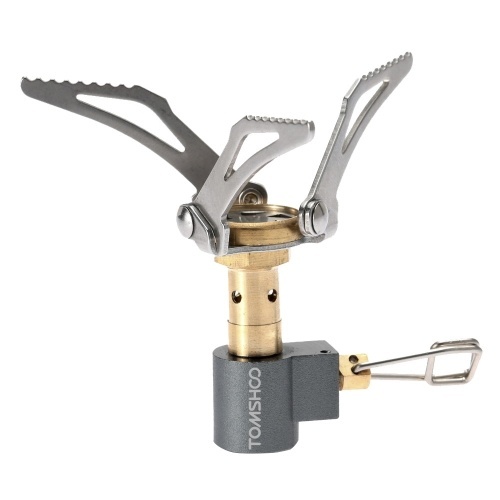 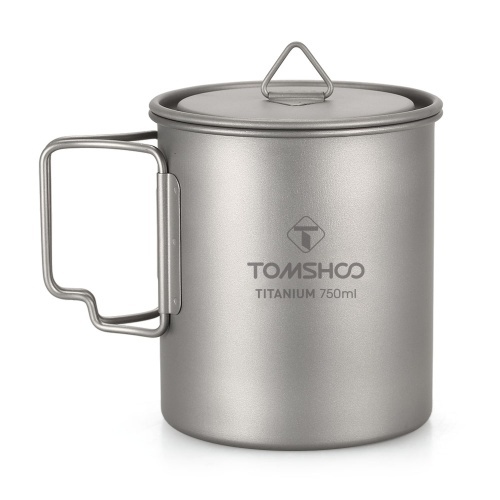 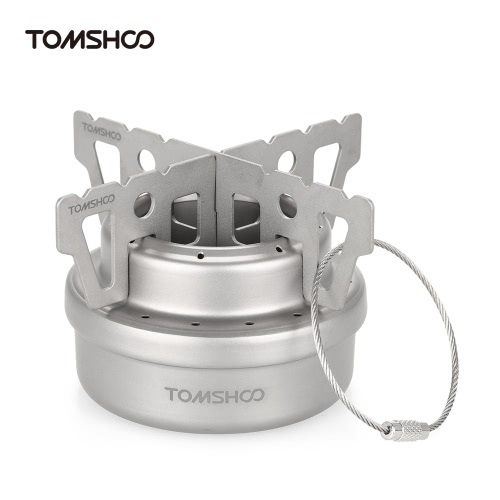 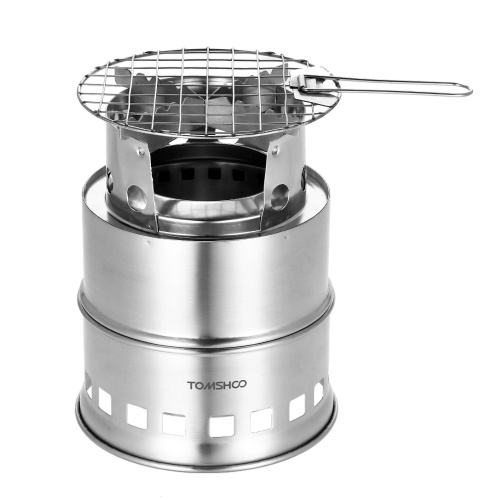 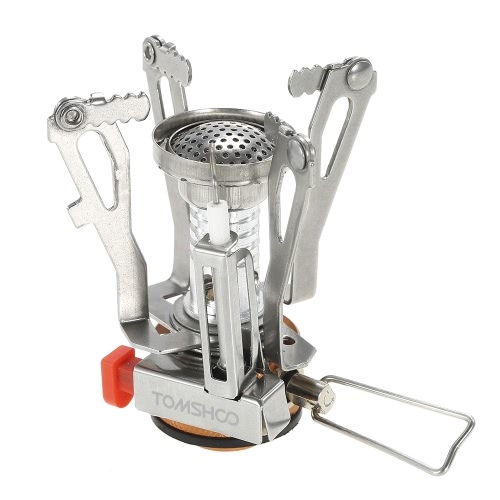 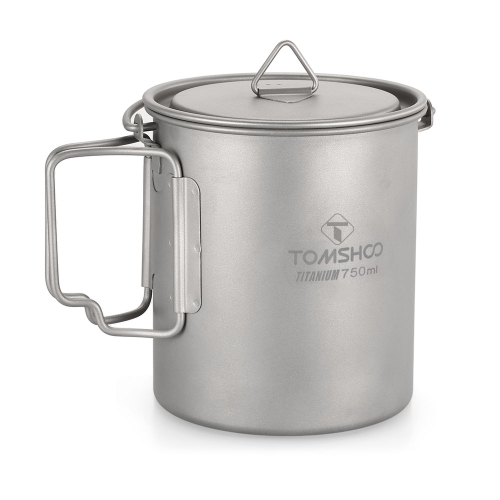 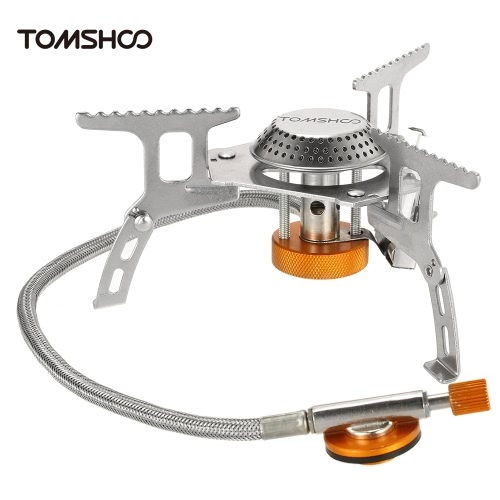 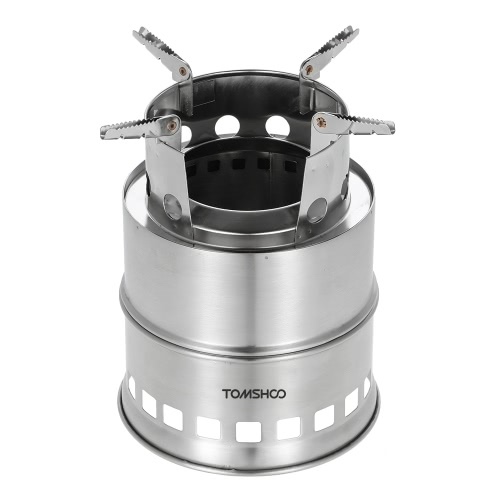 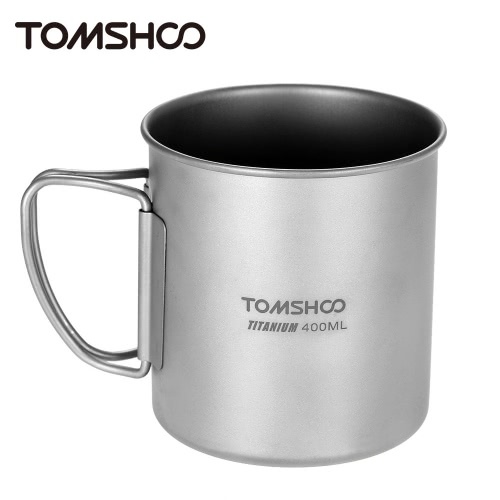 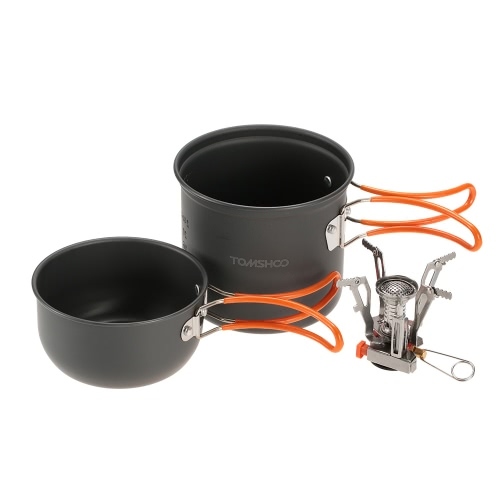 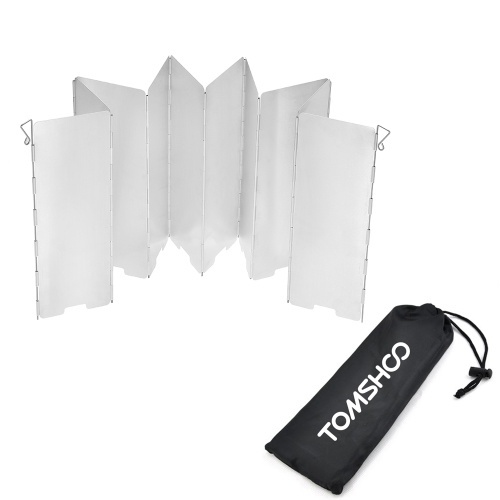 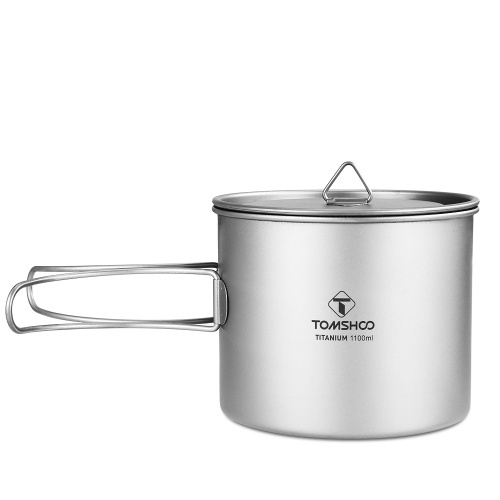 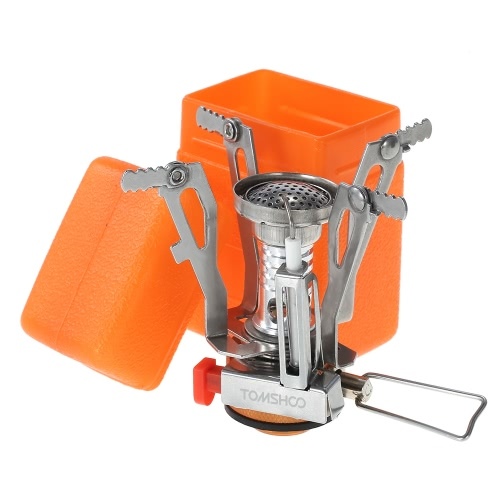 TOMSHOO Outdoor Camping Cookware Set is a complete cooking set that includes pan, pot, bowls, mini stove, windscreen, fork, spoon, spork, cutter and cleaning loofah sponge, all almost everything you need in your outdoor camping, hiking, picnic, barbecue, and more. 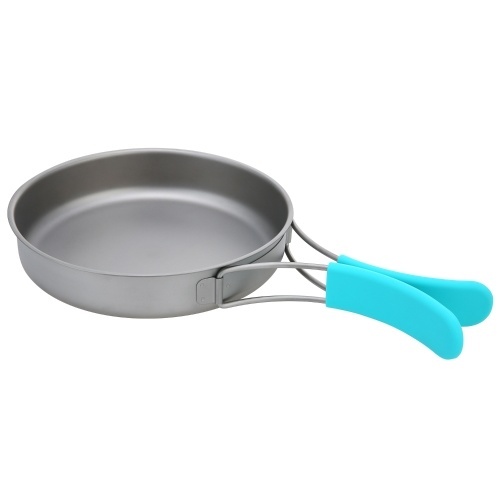 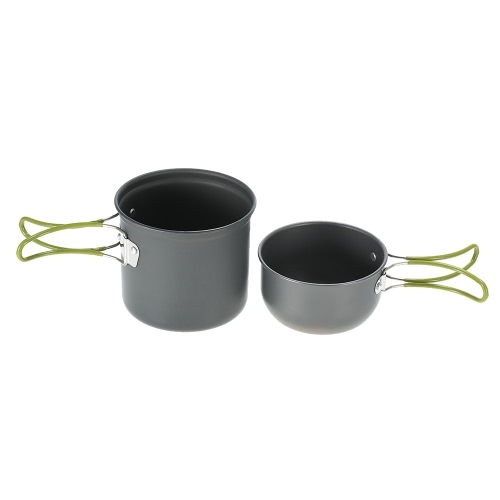 EASY CLEAN & DURABLE: Nontoxic anodized aluminum pot and pot makes it non-stick, easy to clean and built to last. 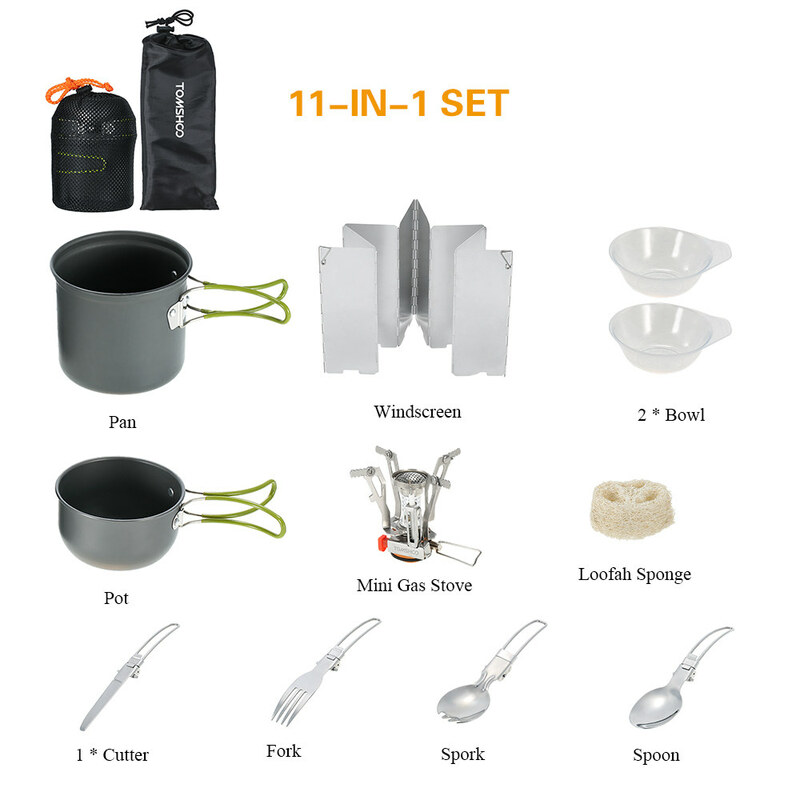 11PCS COMPLETE COOKING SET: This camping cookware set includes a Non-stick Pan and Pot set, 2 Bowls, Mini Folding Piezoelectric Stove, 8-plate Foldable Stove Wind Screen, Folding Stainless Steel Spork, Spoon, Cutter, Fork, Loofah Sponge. 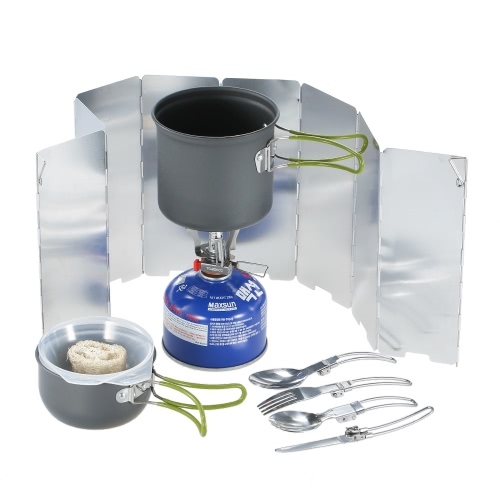 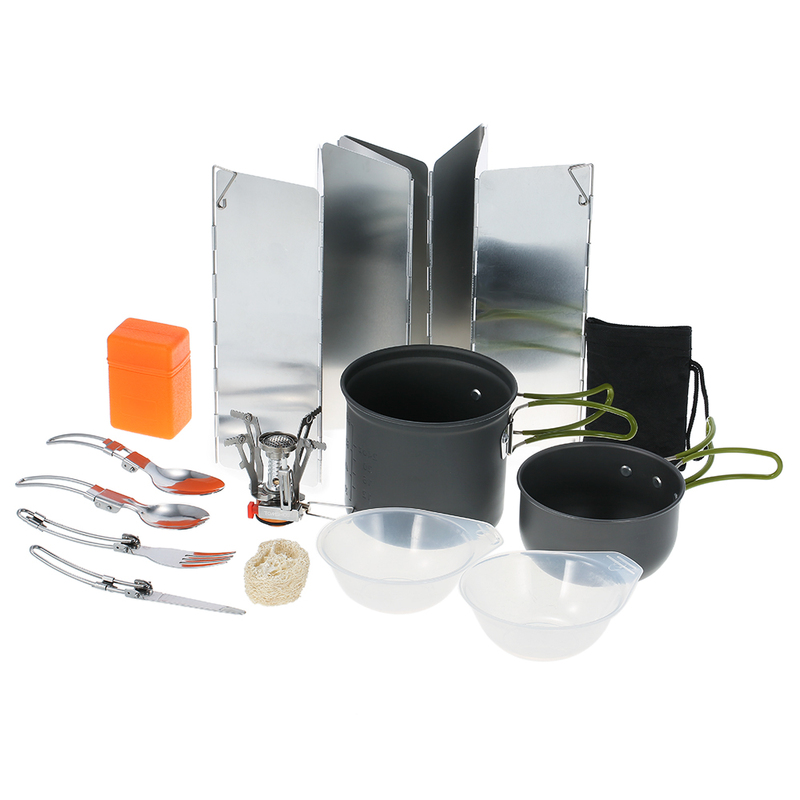 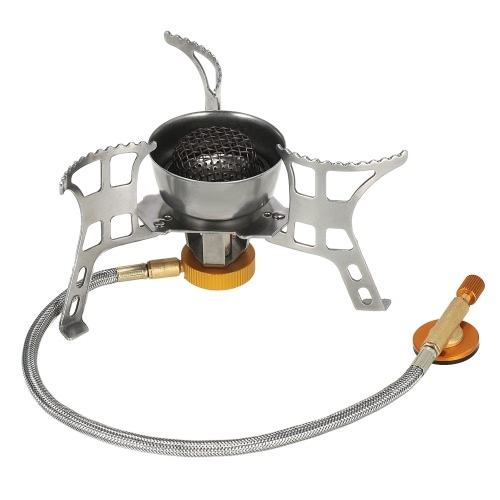 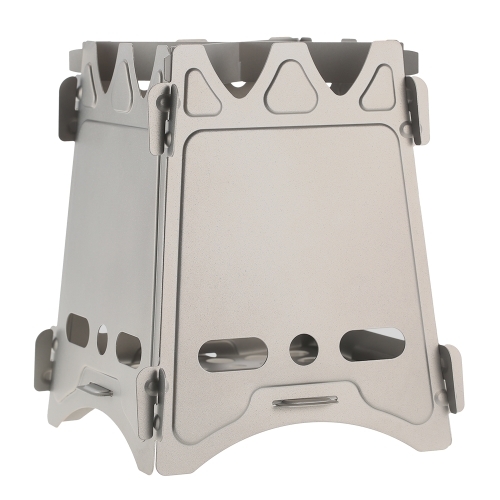 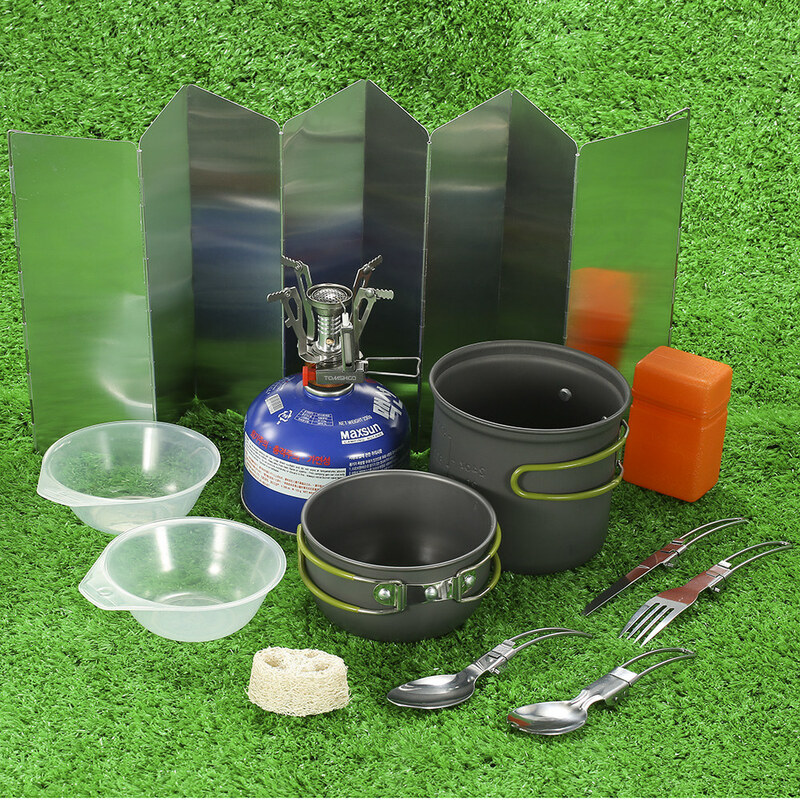 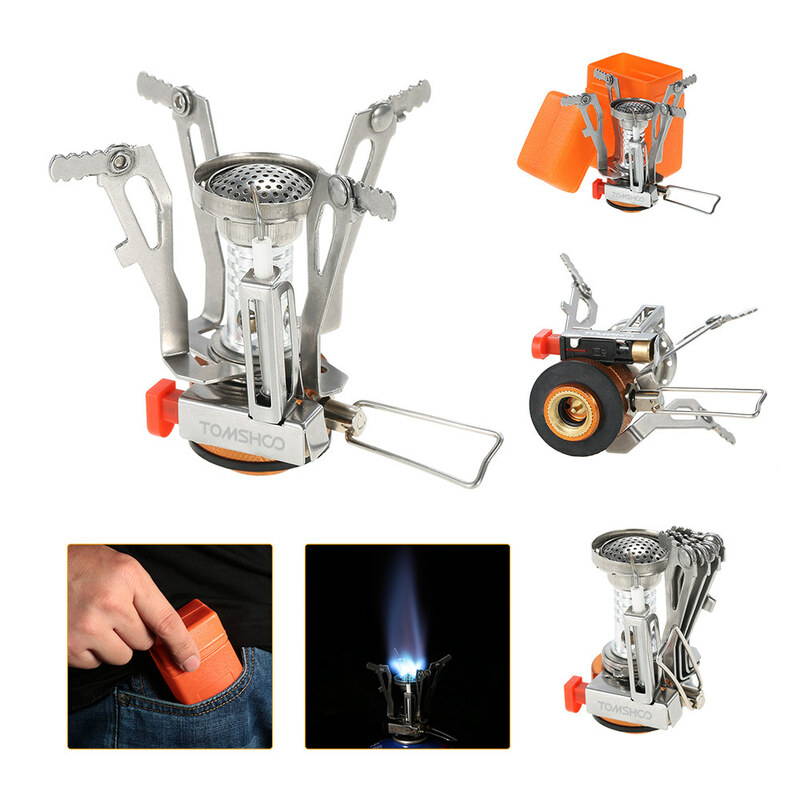 FOLDABLE & PORTABLE: Foldable pot/pan handles, mini stove and cutlery set are foldable. 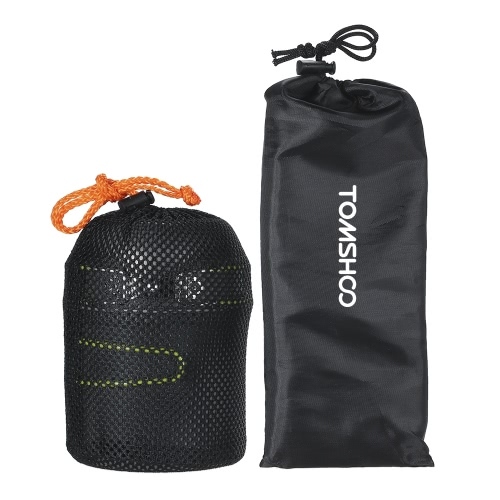 All is well stored in a mesh storage sack for space saving and convenient carry. 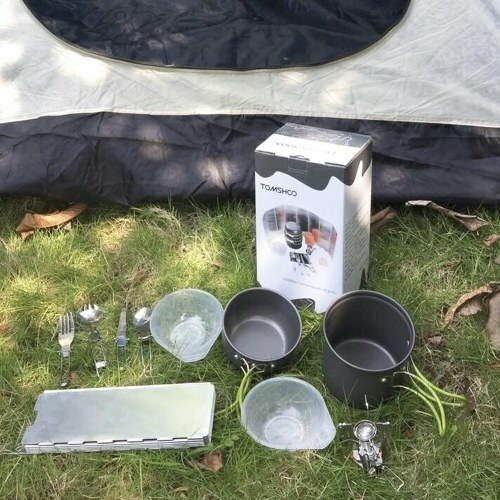 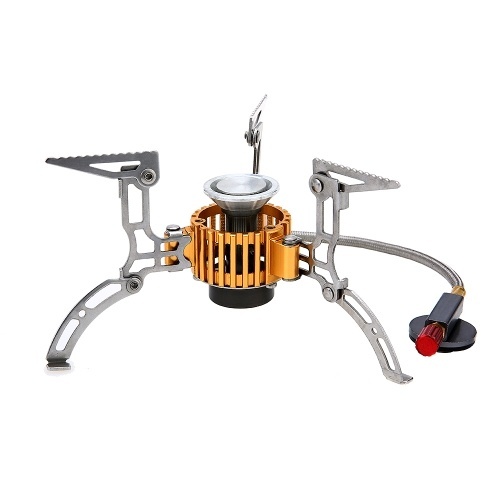 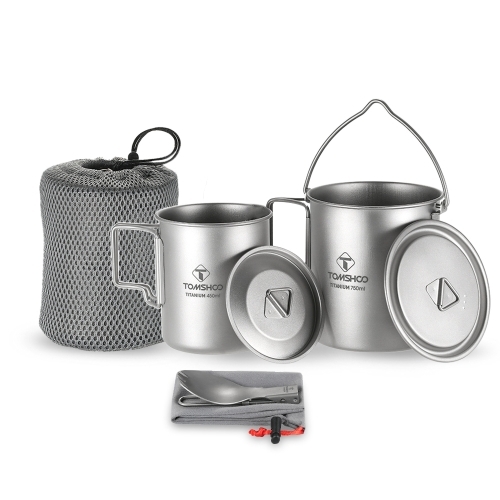 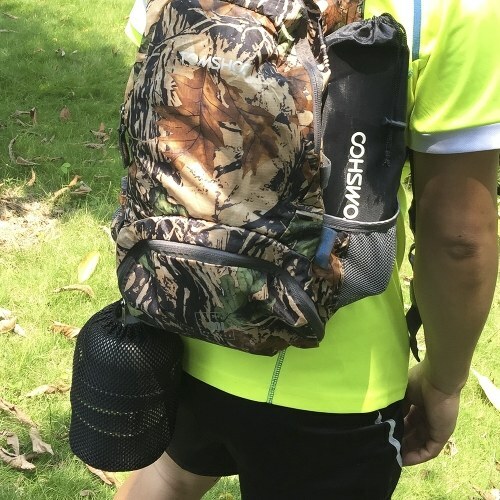 PERFECT FOR OUTDOOR USE: The cooking set is suitable for 1-2 persons, great for camping, hiking, backpacking, picnic and other outdoor activities.